Designed by the Chinese firm minaxdo, the chair looks as if someone pulled handwriting from a scroll and then melted wood around it. The hand carved design looks delicate, but it’s construction is of solid teak with mortise and tenon joints. The name of the collection is ‘fenggu’, meaning both strength of character and a style of calligraphy. 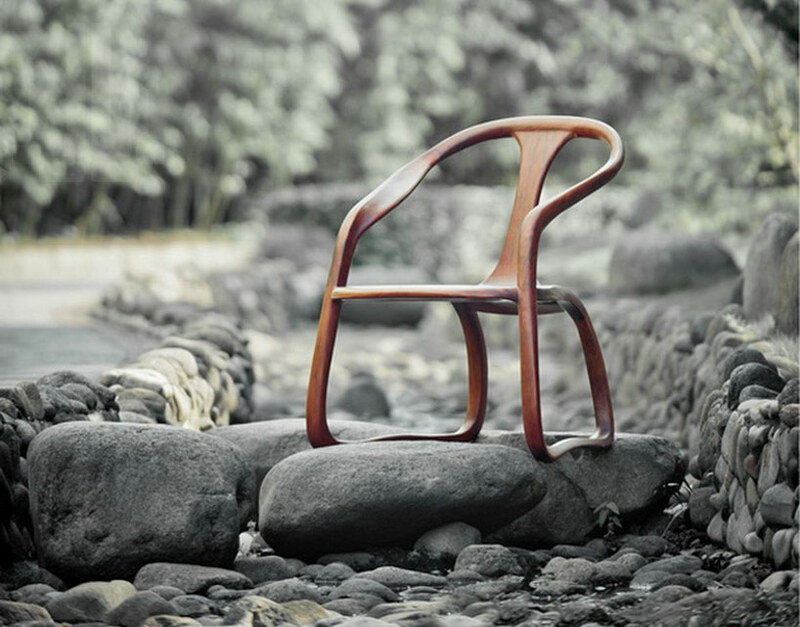 This particular chair is called ‘yuan’ which translates to ‘endless’. Since it looks like brushstroke turned solid, I think they found the correct names. Originally found on: minaxdo references calligraphy with fenggu yuanyuan armchair.